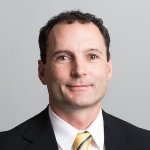 The following article was authored by Jessica Weborg, Attorney, at Lamson, Dugan & Murray LLP. On May 23, 2018, the United States Senator from Nebraska, Ben Sasse introduced the “Transporting Livestock Across America Safely Act” (S.2938) (“the Act”) into the United States Senate. A copy of the bill can be viewed by clicking on this link S.2938. 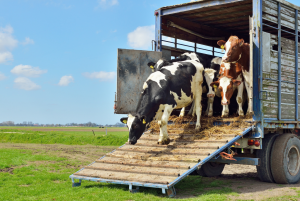 A comparable bill was also introduced into the United States House of Representatives on June 16, 2018, the “Modernizing Agricultural Transportation Act,” which seeks to address the same concerns and issues with the current Federal Motor Carrier Safety Administration Regulations as they pertain to livestock producers and haulers. If the bill is passed by both houses of Congress, the Senate and House of Representatives, the bill will lift the heavy restrictions that were in place by easing the burden of the hours of service (HOS) and electronic logging device requirements (ELD) for drivers transporting livestock and agricultural commodities. Under current regulations, livestock haulers are required to stop driving and rest for 10 consecutive hours after maxing out the time allotted which is 11 consecutive hours in a 14 hour duty window. As it stands, the current regulation does not allow enough time for a centrally located large cattle-producing state, such as Nebraska, to transport livestock to and from a number of different locations across the country. The Nebraska Cattlemen Association supports the Act. The President of the NCBA stated, “Nebraska Cattlemen is extremely appreciative of Senator Sasse’s hard work on behalf of our industry and greatly welcomes this legislation. Hauling livestock is very different than hauling any other commodity. Senator Sasse’s bill helps fill the gaps that exist between federal regulation, public safety, the needs of producers, and the well-being of the animals under our care.” In addition, the Nebraska Cattlemen Association’s Director of Legislation and Regulatory Affairs, Jessie Herrmann, stated that “the passage of the Act will address the incompatibilities and differences between transporting livestock verses other commodities.” According to Ms. Herrmann, the current Federal Regulations do not differentiate between the transport of livestock and other commodities. 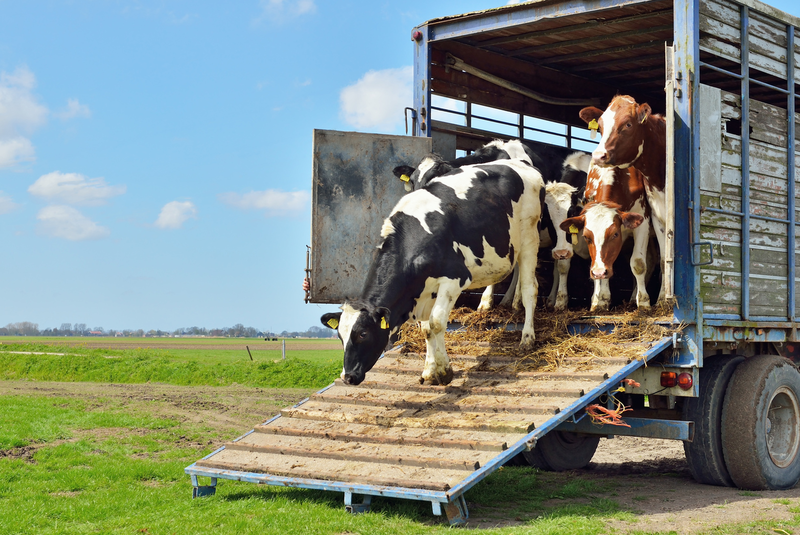 As a result of the current allotted HOS, livestock haulers are regularly forced to stop their rigs in conditions that pose significant risk to the health of cattle and other livestock. Ask any Nebraskan and they will tell you that July and August in Nebraska is extremely hot and humid. These kinds of weather conditions create dire consequences for the sustainability of livestock during transport. The HOS and ELD requirements will become inapplicable after a driver travels more than 300-air miles from their starting point. HOS drive time will not begin until after the 300-air mile threshold is accomplished. It exempts loading and unloading times and dispatch wait times from the on-duty time or HOS calculation. It extends the HOS on-duty time maximum hour requirement from 11 hours to a minimum of 15 hours and a maximum of 18 hours of on-duty time within a 24 hour period. It provides flexibility for drivers to stop and rest anytime during their trip without counting towards HOS. Allows drivers to complete their trip regardless of HOS requirements if they come within 150-air miles of their delivery point. After the driver completes delivery and unloads the truck, the driver is required to take a break for a period that is 5 hours less than the maximum on-duty time. Stay tuned for updates as the Bill goes through the process.